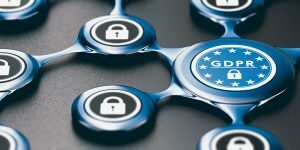 Since its passage in May 2016, the European Union (EU) General Data Protection Regulation (GDPR) has resulted in many companies questioning the need to comply or what the far-reaching regulation would mean to their organizations. Initially many firms failed to understand the global reach of the regulation and that they would be required to respond to the demands of the rule. The GDPR creates strict requirements on how companies who collect, maintain and market consumers’ data must handle the use of that data. The regulation, which comes with severe financial penalties and liabilities when breached, went into effect in May of this year. Under Article 4 of the GDPR, “any consent to the processing of data must be freely given, specific, informed and unambiguous.” Data subjects need to voluntarily submit data for processing. Consent should be guided by a clear, plain English explanation of what specific processing will be done, why its collection is necessary and who the data is shared with. If there will be multiple processes, consent is required for each. At the outset, many predicted that the sweeping regulations would be the end of marketing as it is generally practiced, particularly digital marketing, but many others believed that the new regulatory environment would simply rid the marketing landscape of poor marketing practices and less-than-honest practitioners. While migration to the GDPR requirements have been a challenge, progress has been made for companies who recognized the importance of compliance. Now four months into the launch, major changes among marketing professionals have occurred. Previous conduct of buying email lists, pre-ticked consent boxes and convoluted terms and conditions are becoming activities of the past. So how do consumers, or subjects as they are known in the EU, feel about the new data handling regulations? that they better understand how companies are using their data, but merely 27% of respondents feel that the overall experience with brands is better. “Most people (65%) believe GDPR has made no difference at all, while 8% suggest things have actually got worse.” With more than half of the respondents indicating that the GDPR has had no impact on them it may be that many consumers do not even know about the GDPR standards and what benefits the new rules may play in their digital lives. Perhaps it is too early to effectively measure the impact of GDPR on companies’ marketing tactics or how consumers perceive brands’ handling and use of personal data. With a proliferation of media accounts of how some major organizations have mishandled customer data and trust in the past, well entrenched attitudes prevail. The GDPR is capable of having a positive impact on the consumer/marketer relationship for those organizations that embrace the opportunity. Only time will reveal the effectiveness of the best of intentions to resolve the past bad acts of data management.